Gimli - "Home of the Gods"
Settled on the shores of Lake Winnipeg in 1875, this thriving community of 5000 teems with pride befitting it's Viking ancestors. The community, affectionately known as "Little Iceland", is a popular resort community, highlighting such events as the "Islendingadagurinn" or Icelandic Festival, one of Canada's largest ethnic celebrations! This beautiful town of Gimli is only a 55 minute drive north of Winnipeg, Manitoba. 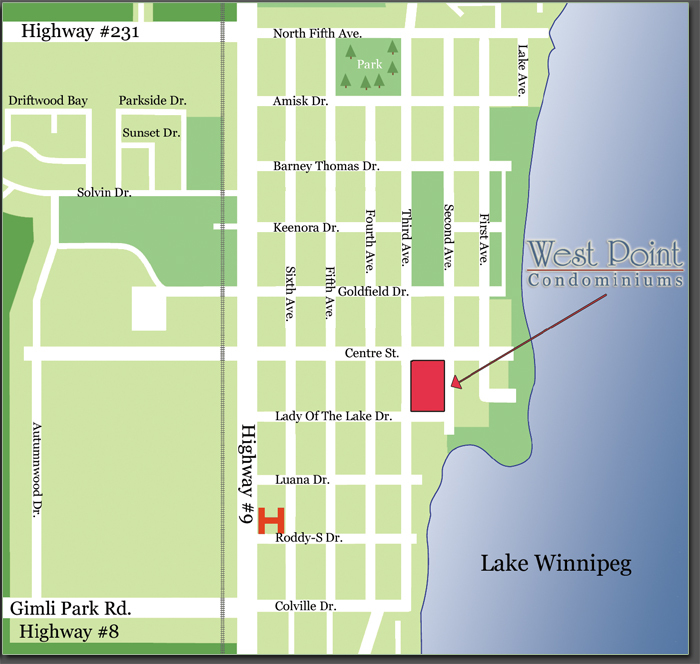 West Point Condominiums are located on the corner of 2nd Avenue and Centre Street in Gimli, MB.